Shipping is free within England, Wales and parts of Scotland. Due to the size and weight of most bikes however, a charge would apply to shipping remote regions, offshore UK and Ireland. The courier will require a signature for your delivery. If no one is available to sign for your goods, the courier will leave a card with instruction of where you can collect it. Working days are Monday to Friday. However, there may be circumstances beyond our control which cause delay and in such circumstances we will endeavour to deliver the goods within 7 days of the date the order was made. Our flexible finance options mean you can purchase this product with a minimal deposit (or call us and arrange a deposit that suits you). Before applying for finance, please ensure you have read the information on eligability. We just need your contact details. The new Haibike XDURO NDURO 9.0 2018 Yamaha Electric bike is a stunning Blue and Grey full suspension Yamaha equipped electric bike. With the new Yamaha PW-X system this bike provides you with the perfect power output to match your riding needs! The new E-Bike will be a winner on what you get for your money!  With the eConnect System, we developed a technological basis for eBike networking. Hence, completely new smart services and intelligent functions are created, making your eBike even better and safer. The technological basis is the transmission unit with a GPS transmitter, a GSM chip, as well as a Buetooth transmitter. An acceleration sensor detects movement and the location of your bike. A family run business since 1956, we look after our customers every step of the way. Almost 60 years selling bicycles, means our expertise and knowledge is second-to-none. Message us directly about this product. Click here to view finance options. Alternatively call 029 2052 9955 or email us and this bike could be yours today! Copyright © 2019 Damian Harris Cycles. * Delivery is free for shopping valued £50 and over.